I'm so sick and tired of Jews and Israelis trying to kowtow and compromise and rationalize to accommodate what is just plain antisemitism. There's one constant in World History and that is the attempt to eradicate World Jewry. Whether it's the Biblical Amalek, Haman, Hadrin, the Greeks, Romans, Crusaders, Vatican and the Inquisition, Great Britain which refused to follow the Mandate to establish a Jewish State, the Nazi Holocaust and the United Nations which keeps condemning Israel for its survival there is no sign of an end to the hatred against the Jewish People. A couple of weeks ago, the Shabbat before Purim, was Shabbat Zachor, the Shabbat of memory. That is a reminder that we are supposed to remember that when push comes to shove, or just for fun, there are many in the world who will not change their hateful antisemitic ideology. They look for our weakness and pounce, stab, run over and shoot. Look at the irony and look at the hypocrisy. And please add your own examples in the comments, thanks. Netanyahu responds to US Senator: You got the wrong address: Netanyahu responds to claim of 'extrajudicial killings,' noting that Sen. Leahy did not condemn PA leaders for inciting to murder. You can’t make it up. UN names democratic Israel as world’s top human rights violator:According to the United Nations, the most evil country in the world today is Israel. “Antisemitism has become a serious threat once again,”an eminent Holocaust scholar told The Algemeiner on Tuesday, saying he had thought that after the demise of the Nazis and knowledge of the destruction they wrought, serious public Jew-hatred was unlikely to surface again in the West in any major way. “I was wrong,” Alvin Rosenfeld, professor of English and Jewish studies at Indiana University. Has the Teflon Worn Off of Isaac Herzog? But apparently, things here in Israel are changing. Things maybe going downhill for the Leftist Labor prince. Opposition leader Yitzhak Herzog is under investigation for corruption, along with Shas head Aryeh Deri. 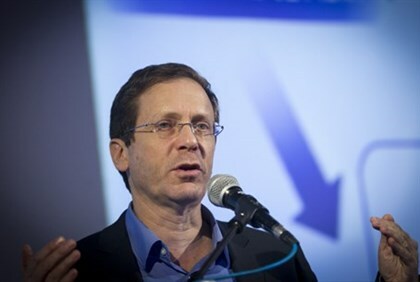 Opposition leader Yitzhak Herzog (Zionist Union) has been identified as the second political leader under investigation for corruption. I'd like to make things clear. I made aliyah, that means moved to Israel, the Land of Israel, the Holyland the summer when I was twenty-one 21 years old. 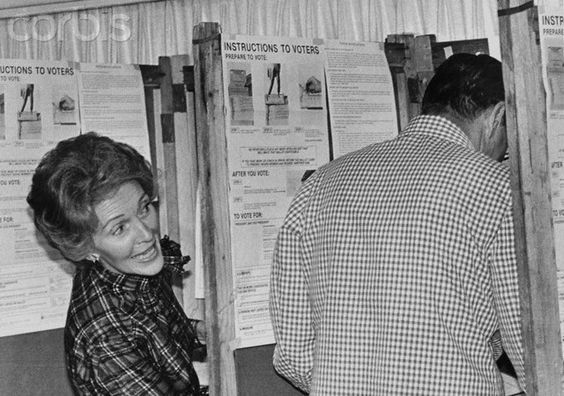 In those days, voting in the United States was only for those twenty-one 21 years old and up. And since we left in late August, I never had the chance to vote. And since it was in 1970 (yes you can do the math and figure out my age) when there's no Presidential election, and in those days there weren't primaries, I never even thought of elections and voting. It may be hard for people today to imagine or remember, but in 1970, there were no computers, internet, cellphones etc. In Israel there weren't even phones in many homes. To phone abroad meant going through an overseas operator, deciding whether the call should be "station to station" or "person to person." And mail was either by ship or if you paid more, by airmail. So once we left the Port of New York, yes, by boat, American politics was firmly on the backburner. Today as a very active blogger and political pundit, who is not at all shy about voicing my opinions, sometimes I think it's rather incongruous for me not to voice it where it counts in American Elections. 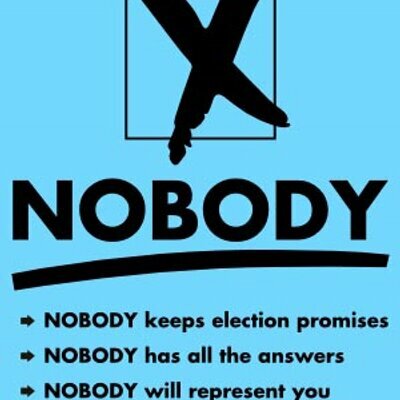 I certainly vote in Israeli Elections. According to American Law I do have the right and privilege to vote. I have just never exercised that privilege. The only "relationship" I still keep with the United States Government is renewing my passport. I need it to travel to see family in America. I have no desire to be in the situation wherein I am dependent on some clerk's whim for a visa, but if the United States Supreme Court ever decides that I must choose between countries, as it was until about fifty years ago when it was illegal to have dual citizenship, then, I'm an Israeli only. On one hand I can easily admit that I haven't voted in American Elections because of inertia, laziness. It just never was my routine and would demand filling out annoying forms and then being forced to make a decision. One is that I don't feel that it's right for me, a permanent citizen and resident of the State of Israel to vote for American elected officials. Two is that in the decades, half a century at least, that I have been observing and following American politics, one thing I've learned. That is that party/candidate platforms are no more than misleading advertising. Politicians are people who will say anything to get elected. So, why should I bother voting, when either I'll be disappointed because my candidate will lose or if he/she gets elected I'll be upset at the actual policy which will not be the campaign platform. These two points don't really dampen my fascination with political campaign shenanigans that go on; if anything they increase my interest. Considering that the arrest and condemnations of the the soldier who shot the wounded terrorist last Thursday were based on a purposely silenced video broadcast by an extreme Leftist group, B'Tselem, I find the support for the soldier very important and encouraging. We all know that in today's modern world every camera and cellphone record sound along with action, and the fact that the B'Tselem crew silenced the sound meant that the sound would totally disprove their agenda. So, anyone with half a brain should have immediately suspected something sneaky and crooked and distorted in the silenced video that B'Tselem sent off to the world. The fact that so many government and IDF bigwigs, from the Prime Minister and Defense Minister on down, so quickly fell for their scam is not very encouraging. How dumb and gullible they all are! Just like the fact that B'Tselem had erased the sound should have been a warning light that it was a trick, the fact that the terrorist was in a coat in hot weather was a sign that he could very well be hiding weapons and bombs on his body. 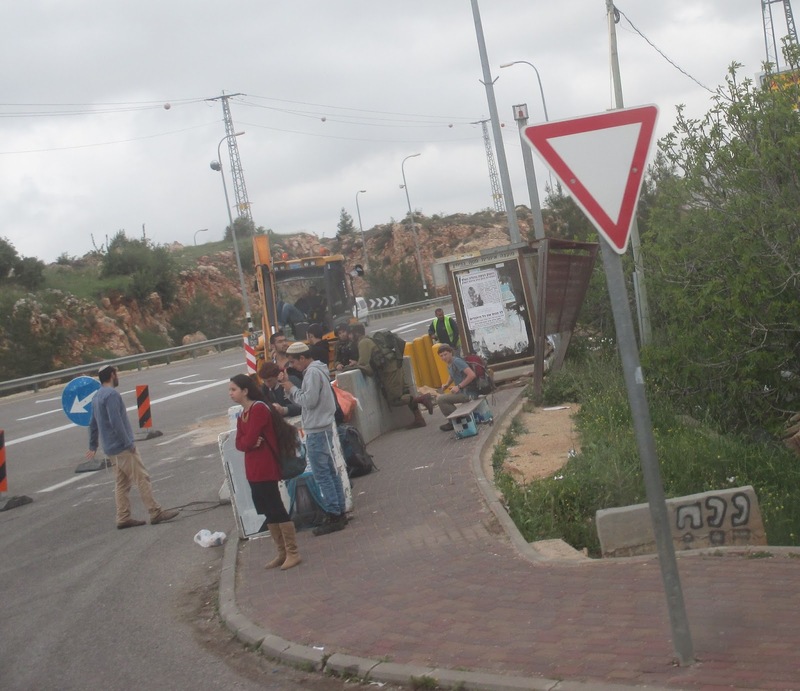 The dialogue that B'Tselem did not want anyone to hear was that everyone was being warned that the terrorist was starting to move and that he was most probably boobytrapped or about to brandish a weapon or blow all of them up. In the above video you can hear very clearly that the soldiers and bystanders are being warned that the terrorist, who had already attacked soldiers, was probably carrying more weapons or explosives and had begun to move. Improv entertainment groups are fond of a technique, I've seen many times, in which they ask a member of the audience to translate some gibberish said by one of the actors, as if there's an interview of a foreigner or man from Mars or whatever. Considering that this is a totally made up dialogue, based on the imagination of the "translator" I see a connection to B'Tselem's edited/silenced video which was publicized, davka, in that format purposely to distort the truth and they should be prosecuted. This is no joke. As Defense Minister Yaalon continues issuing statements attacking the IDF soldier who killed the terrorist last Thursday in Hebron in an incident featured in a B'Tselem video, Channel 10 news reports that according to an internal investigation conducted at the request of Magen David Adom (MDA) Director General Eli Bin, the military sapper on the scene instructed the paramedics not to provide medical care to the wounded terrorist - and that this order remained in effect even AFTER the now controversial shooting of the terrorist by the IDF soldier. According to the Israel Radio Reshet Bet item covering the MDA investigation, the investigators noted that the reason the sapper was particularly suspicious was the the terrorist had a zipped up jacket despite the very warm weather (25 degrees Centigrade [77 degrees F]). In his comments, the prime minister remarked on the statement issued by the soldier's father, who asked that his son not be made the victim of a media trial. The soldier is currently under arrest and charged with murder. "Like you I heard the words of the father of the soldier," said Netanyahu. "I have to say that as a father of a soldier the words touched my heart." "IDF soldiers, our children, stand before murderous terror attacks by terrorists who come to kill them. They have to make decisions in real time, in field conditions, in stress conditions, in uncertain conditions." Netanyahu emphasized that "I rely 100% on the IDF, on the Chief of Staff, on the investigation. I trust that the investigation will consider all the conditions that I described, including operational conditions. I am certain that the investigation will be professional and fair towards the soldier." I must say that nothing is fair if the Defense Minister has condemned the poor soldier already, and the Prime Minister had, too. I'd like to see Defense Minister Yaalon resign, because if this is how he reads, watches, investigates and analizes security reports he is not competent to be Minister of Defense for the State of Israel. I am glad that Jewish Home chairman and Education Minister Naftali Bennett has come out strongly for the soldier. He remembers what is is like to be on the frontline, which is something that Bibi and Bogie and others have forgotten. Safety Tremping- Are The New Poles Safer Than Cement Blocks? Yesterday, while on the bus on the way to work, while passing Ofra I saw that the cement blocks protecting trempistim aka hitchhikers were being replaced by brightly colored poles. Even though these poles are installed well and into the ground, I am not impressed, nor am I comforted nor feel safer. The security experts first started putting in poles to protect bus stops and hose waiting, after the terrorist rammed into us twenty years ago. They do protect a bit when the weapon is a regular car. But I always felt much safer when able to hid behind those cement barriers if there would be a shooting attack by terrorists. No, Baruch Hashem and bli eyin haraa, (not the tempt the Evil Eye,) I was never shot at. But while waiting for buses and tremps (rides) I do rehearse in my mind how to hide from danger. And considering the amount of shooting attacks, I don't think that the cement barriers should be scrapped. Is The Israeli Media Hyping for Early Elections Yet Again? 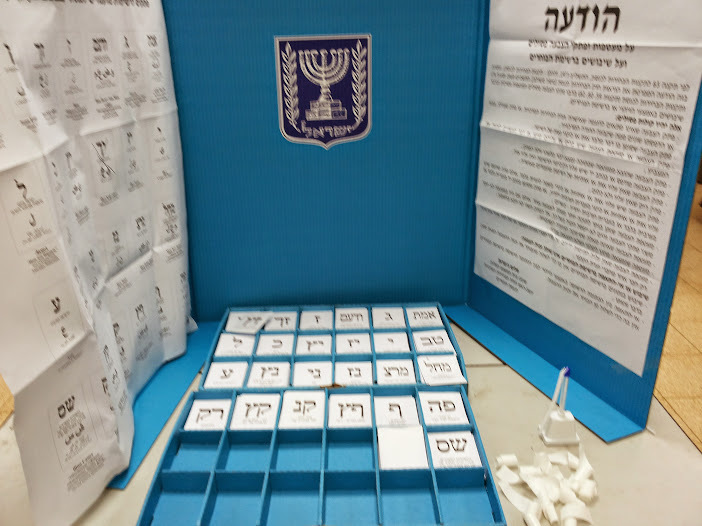 Should we all be preparing yet again for new elections here in Israel? The reality here in Israel that no matter which party is "ruling" in the Knesset, the real movers and shakers are the media. The Israeli media has always been the spokesperson of the self-appointed elite. Evenhanded objective interviewing skills are neither seen nor heard nor written in Israeli media, whether television, radio or the press. When a reporter does not agree with the person he is interviewing sic, he/she interrogates him like a TV district attorney trying to force a mass murderer to confess his/her dastardly crimes. But when the reporter agrees with the ideology of the interviewee, the oversweet fawning can put the viewer/reader in diabetic shock. Outright lies and illogic will go unchallenged when Left talks to Left. And they could not explain at all what it meant in Hebrew words. For some peculiar reason the concept just doesn't exist in Israeli culture. That's why all the publicity given to political polls must have an ulterior motive. So when I hear that Lapid's and Lieberman's parties are doing better than the Likud in the polls, I know that it's a reminder to the Israeli public to get on the bandwagon. Poll: Lapid, Liberman continue to gain strengthNew poll finds that Yesh Atid and Yisrael Beytenu are making gains at the expense of Likud and the Zionist Union. The Likud and the Zionist Union parties are continuing to lose seats, while Yair Lapid's Yesh Atid and Avigdor Liberman's Yisrael Beytenu are making gains, a Kol Yisrael radio poll released Friday found. But of course all these news articles leave out the fact that the Likud has pretty much always done much better in elections than polls. And I don't think that this time Netanyahu will make the mistake he did last time and call for early elections based on good polls for Likud, if there are any. I'm pretty sure that he will work hard to keep his bare minimum 61 out of 120 Knesset seats live for as long as possible. And I also think that the coalition members feel the same. They know that although opposition parties look good in today's polls, according to their present numbers, none of the opposition leaders are favored more than Bibi by the public. Yes, no matter how much Israelis don't like Bibi as Prime Minister, still more prefer him over Lieberman, Lapid, Herzog etc. And if the coalition MKs try stabbing Bibi in the back by deserting to the opposition and Bibi gets back in, he won't forget the traitors. What do you think? Comment and share, please. In year 2012 CE, the U.S. State Department’s Trafficking in Persons Report revealed 17 countries that still practice or tolerate slavery: Algeria, Libya, Syria, Sudan, Kuwait, Iran, North Korea, Saudi Arabia, Papua New Guinea, Yemen, Madagascar, Eritrea, Zimbabwe, DR Congo, Central African Republic, Equatorial Guinea, and Cuba. Notice that NONE of these 17 countries suffers the wrath of the BDS movement, no matter how guilty they are of practicing slavery. Also notice that most of these countries are MUSLIM, which means that the Far-Left-dominated news media will NEVER give them the criticism they deserve, because the Far-Leftists are the loyal allies of the Muslims. Last but not least, the Far-Left-dominated BDS movement will NEVER target these counties with boycotts, because the Far-Leftists are the loyal allies of the Muslims. According to the year 2014 CE Freedom in the World Report, the ten most oppressive countries in the world are: Central African Republic, Somalia, Equatorial Guinea, Sudan, Eritrea, Syria, North Korea, Turkmenistan, Saudi Arabia, and Uzbekistan. Notice that NONE of these ten countries is suffers the wrath of the BDS movement, no matter how much they oppress their own citizens. Since year 1950 CE, China has occupied the land of Tibet and murdered around one million Tibetans. Does China suffer the wrath of the BDS movement? NO! Russia invaded Georgia in year 2008 CE. Russia invaded Ukraine in year 2014 CE. Is Russia boycotted by the BDS movement? NO! And it never will be. Final sentence of article titled: “New York Times Editor: Coverage of Israel Most Criticized Aspect of Opinion Pages” by Shiryn Ghermezian, 2015 October 14, found in: The Algemeiner. and educated in Church of England schools. no reason to be suspected of prejudice against Muslims. but I can since I'm just a blogger! There was a pretty superficial opinion piece in the Jerusalem Post about Prime Minister Binyamin Netanyahu and the American Elections, What the prime minister thinks but cannot say out loud, by Gil Hoffman. None of the wannabes can be trusted to keep any pro-Israel campaign promises. Whatever he says will end up backfiring. During the most recent Israeli Elections, the American government found underhanded and illegal ways to support V15 aka anybody but Bibi NGOs! TEL AVIV – A non-profit at the center of controversy regarding its campaign to defeat Prime Minister Benjamin Netanyahu at Tuesday’s polls has removed the State Department from its website’s list of “partners,” WND has learned. 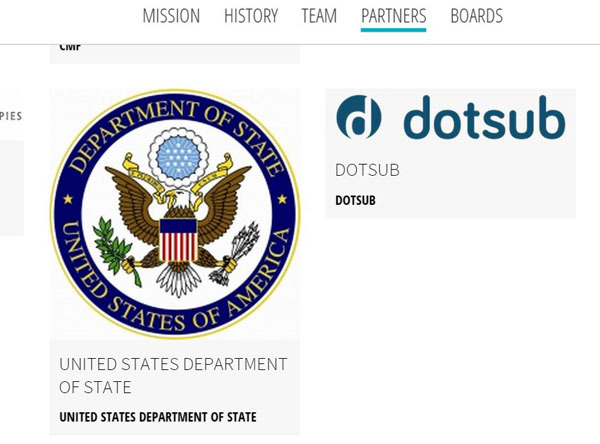 Below is a snapshot taken by WND last month, which clearly shows the U.S. Department of State, replete with a logo, listed as a “partner” of the OneVoice Movement on the group’s website. Internet Archive’s Wayback Machine also has a cache image taken in 2014 showing the State Department listed on the same “partner” page. The State Department logo is missing from the current version of the same page listing OneVoice’s partners. The Americans play dirty, and it really doesn't pay for Netanyahu to get involved. With the Republican top wannabes still trading attacks on each other, it's looking more and more like Hillary will get to be the first female POTUS. And she can be even worse than Obama. Remember that she was his Secretary of State during his first term. And her Suha kiss will never be forgotten nor forgiven. יא נִחַמְתִּי, כִּי-הִמְלַכְתִּי אֶת-שָׁאוּל לְמֶלֶךְ--כִּי-שָׁב מֵאַחֲרַי, וְאֶת-דְּבָרַי לֹא הֵקִים; וַיִּחַר, לִשְׁמוּאֵל, וַיִּזְעַק אֶל-יְהוָה, כָּל-הַלָּיְלָה. 11 'It repenteth Me that I have set up Saul to be king; for he is turned back from following Me, and hath not performed My commandments.' And it grieved Samuel; and he cried unto the LORD all night. יב וַיֹּאמֶר שָׁאוּל, שְׁמַע-נָא בֶּן-אֲחִיטוּב; וַיֹּאמֶר, הִנְנִי אֲדֹנִי. יד וַיַּעַן אֲחִימֶלֶךְ אֶת-הַמֶּלֶךְ, וַיֹּאמַר: וּמִי בְכָל-עֲבָדֶיךָ כְּדָוִד נֶאֱמָן, וַחֲתַן הַמֶּלֶךְ וְסָר אֶל-מִשְׁמַעְתֶּךָ וְנִכְבָּד בְּבֵיתֶךָ. 14 Then Ahimelech answered the king, and said: 'And who among all thy servants is so trusted as David, who is the king's son-in-law, and giveth heed unto thy bidding, and is honourable in thy house? טו הַיּוֹם הַחִלֹּתִי לשאול- (לִשְׁאָל-) לוֹ בֵאלֹהִים, חָלִילָה לִּי: אַל-יָשֵׂם הַמֶּלֶךְ בְּעַבְדּוֹ דָבָר, בְּכָל-בֵּית אָבִי--כִּי לֹא-יָדַע עַבְדְּךָ בְּכָל-זֹאת, דָּבָר קָטֹן אוֹ גָדוֹל. טז וַיֹּאמֶר הַמֶּלֶךְ, מוֹת תָּמוּת אֲחִימֶלֶךְ: אַתָּה, וְכָל-בֵּית אָבִיךָ. יח וַיֹּאמֶר הַמֶּלֶךְ, לדויג (לְדוֹאֵג), סֹב אַתָּה, וּפְגַע בַּכֹּהֲנִים; וַיִּסֹּב דויג (דּוֹאֵג) הָאֲדֹמִי, וַיִּפְגַּע-הוּא בַּכֹּהֲנִים, וַיָּמֶת בַּיּוֹם הַהוּא שְׁמֹנִים וַחֲמִשָּׁה אִישׁ, נֹשֵׂא אֵפוֹד בָּד. 18 And the king said to Doeg: 'Turn thou, and fall upon the priests.' And Doeg the Edomite turned, and he fell upon the priests, and he slew on that day fourscore and five persons that did wear a linen ephod. יט וְאֵת נֹב עִיר-הַכֹּהֲנִים, הִכָּה לְפִי-חֶרֶב, מֵאִישׁ וְעַד-אִשָּׁה, מֵעוֹלֵל וְעַד-יוֹנֵק; וְשׁוֹר וַחֲמוֹר וָשֶׂה, לְפִי-חָרֶב. For me this latest controversy concerning the soldier who killed the terrorist who was already seemingly "down" is multiply deja vu. Just a couple of weeks ago was Shabbat Zachor when we are supposed to/we are commanded to remember not only what Amalek did to us during the exodus from Egypt, but what Gd commanded us, especially King Saul to do to Amalek and all of his descendants plus. They were to be executed and destroyed. But in contradiction to those very clear orders, King Saul led the people in saving Agag and his finest... "and the best of the sheep, and of the oxen..." Because of that sin, Samuel the Prophet was ordered by Gd to tell Saul that his kingship was over. But although Saul seemed to express remorse, apparently they were just words, because it was after that that in his ungodly quest to kill David, who was to succeed him, he ordered the murder/massacre of the Priests in Nob. This is so much like those Leftists who are so quick to condemn Jews and so slow to condemn the terrorists. They have no problems believing that Jews may have done damage to Arabs, but they don't see the inherent dangers coming from Arabs, even those who are trying to kill/murder Jews. "A bomb! The car may explode! Run!!" After a few months of legal trouble, they were declared as innocent of wrongdoing. The soldier who killed the Arab terrorist yesterday had a legitimate reason to shoot the terrorist. A medic standing right there said that the terrorist had begun to move and it looked like he had bomb belt to use against the Jew in the immediate vicinity. When one is dealing in life and death situations, one must know what one's priorities are. Chag Shushan Purim Sameach and Shabbat Shalom! Here in Shiloh, Purim seems to go on forever, two full days, instead of the standard one. Before living in Shiloh, we had been living in Jerusalem which has the easiest Purim of all. You have the Fast of Ta'anit Esther, then a day's break to take care of all the Purim preparations, or go to family and friends, and then, twenty-four 24 hours after breaking the fast, it's Purim, Shushan Purim. That day's break is so convenient, because the rest of the Jewish World rushes into Purim, including costumes (for those who do it for themselves or the kids) and cooking, baking and assembling Mishloach Manot during the fast. And then still fasting we go off to hear the Megillat Scroll of Esther being read. So when we moved to Shiloh, not only did I lose my precious break, but we had to keep on celebrating Shushan Purim, yes, double all the requirements the Megilla readings, now four 4, festive meals, now two 2, the giving (and preparation) of Mishloach Manot for two 2 days and of course giving more charity... which is always a good thing. And why is Shiloh one of the very few places in the Jewish World to celebrate both days? There definitely was a wall around Shiloh, not only prior to the time of the Purim story/history, but parts can still be seen today. It has to do with the fact that there is no proof that there was a Jewish Community in Shiloh at the exact time of the Purim story, which took place after the destruction of the First Holy Temple. And apparently, this will be difficult to prove, which is why for the close to forty years since Jews have returned to live in Shiloh, which had been the first Capital of the Jewish Nation after the Exodus from Egypt and before King David brought the Ark back to Jerusalem, we celebrate both days. There are references to Jewish Life in Shiloh after the Destruction of The Mishkan Tabernacle, which had been in Shiloh for three-hundred-sixty-nine 369 years, soon before Kings Saul and David, but since the focus on Shiloh had ended there seems to be no way to prove anything. Here is a clear, well-written historical timeline which was sent out by the Phoenix, AZ Chabad. Purim 5776 (Starting Wednesday night, March 23) we shall, G-d willing, celebrate 2,371 years since the very first miracle of Purim. Our Sages state that the Purim Festival shall remain on the Jewish calendar even after the arrival of the Righteous Moshiach. During the Jewish people’s Exodus from Eygypt the nations of the Middle East were in great awe of G-d’s miracles performed in that country in defense of the Jewish people. The nation of AMALEK (descendants of Esau) was the first and only to come from afar and attack the Jews in the desert, thereby trying to undermine the universal respect and fear for the people of Israel. Amalek became the symbol of a war waged against the Creator of the World. Today, there is no identified nation of Amalek. Rather, their descendants are sprinkled throughout the world, exercising their animosity toward the people of Israel. Mordechai the righteous was a descendant of King Saul, the first King of Israel, from the tribe of Benyomin. 1) Vanquishing Haman and all Amalekites of Persia. Purim took place before the rebuilding of the second temple, during the time of Mordechai and Esther. 3389 (-371) Cyrus, King of Persia, encouraged the Jews of Babylonia to return to Eretz Yisrael and to rebuild the Holy Temple. 3391 (-370) The building of the second Temple began. 3395 (-366) Three years after coming to power, Achashverosh made his great banquet. 3399 (-362) Esther was unwillingly taken to the palace in the 7th year of King Achashverosh, contrary to the wishes of Mordechai. 3404 (-357) During the 12th year of Achashverosh, Haman cast the lot starting the plot to annihilate the entire Jewish people - men, women and children. In the same year, Esther took action against Haman's decree. 3405 (-356) Eleven months after the decree, on the 14th (and 15th) of Adar, the Jews finally rejoiced in their relief. The entire Purim miracle occurred within a 9 – 10 year period. It is celebrated on the day the Jews enjoyed peace and safety rather than the day of the battle and victory. 3406 (-355) Mordechai proclaimed Purim. King Achashverosh dies; succeeded by Darius II, son of Esther. Esther was thus with the king about 7 years (from 3399 to 3406). 3408 (-353) 70 years after the destruction of the first Temple, the building of the second Temple was resumed by order of Darius II. The King of Persia requested that a remembrance of the city of Shushan (capital of the Persian Empire) be placed in the Holy Temple, as a clear indication of who had authorized it’s rebuilding. It was placed on the eastern gate, which was consequently named Sha'ar Shushan (The Gate of Shushan). Mordechai and Esther are buried side-by-side in Iran (the capital of the Persian Empire). Iranian Jews, for generations, have prayed at that site. They tell us that Moslems come to that sacred site to pray for themselves and their families, in the full knowledge that Mordechai and Esther were leaders of the Jewish people. 2. As a sign of Jewish unity and friendship we send GIFTS OF FOOD to each other. 3. GIFTS OF MONEY – to at least two needy people. 4. Participate in a PURIM FESTIVAL MEAL. One thing that impresses me each year as I listen to the readings of the Megillat Scroll of Esther is that here we are at least two thousand five hundred 2,500 years later, and we are doing exactly what we had been told to do then. It shows the Jewish People as a very ancient people totally connected to our history. The Megillat Scroll of Esther is written in Hebrew, our ancient language, and is perfectly comprehensible today in the twenty-first century. That means that we still use the same language and follow the same theology, religious laws. Is there any other people/religion/nation like the Jewish People? No! We are unique and that is the proof that we really are special. We are the Chosen beloved Nation of Gd Almighty. May You All Have a Joyous Purim! Trump Should be Cheered by AIPAC! "Logic" versus "Two State Solution"
Apartheid Against Arabs in Israel? No Way! !